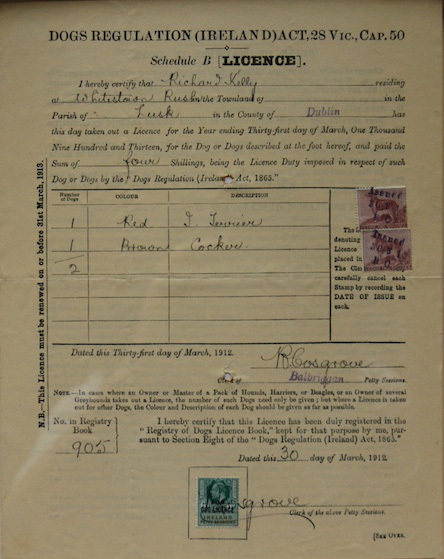 From the minutely-detailed collie on the stamps to the requirement for the clerk to sign the form in two separate places, this Dog Licence is no simple record of payment. It is a monument to the fusty bureaucracy of the British Empire. What an interesting piece of dog owner history! Thanks for sharing.